Why Can’t We Respect End of Life Directives? 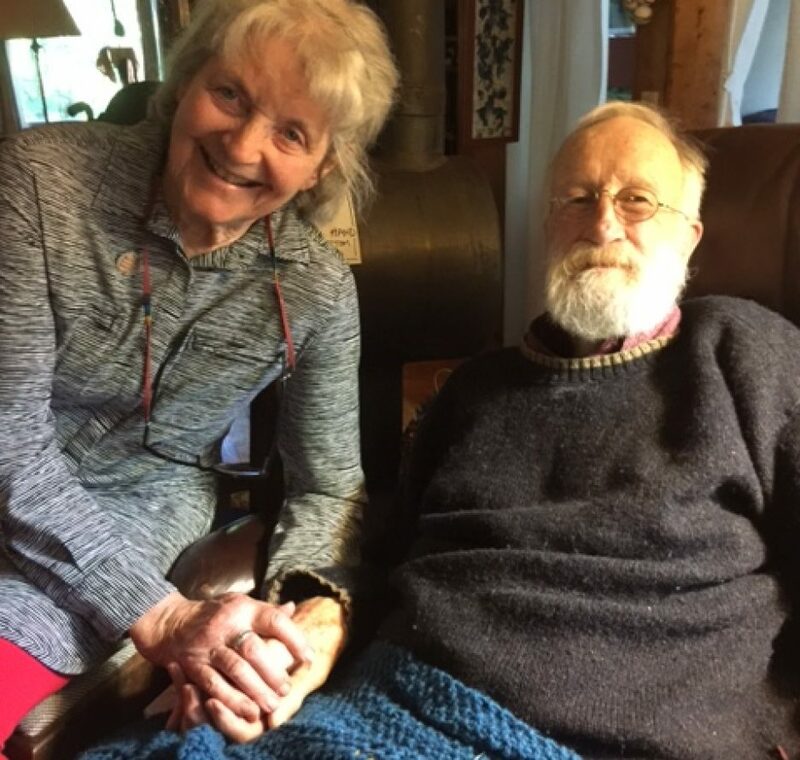 It has been 20 years since the enactment of Oregon’s Death with Dignity law, and 30 years since I was involved in the creation of Hospice House, now Legacy Hopewell House, yet still we hear the swirl of emotional, philosophical and legal questions surrounding end of life issues. Again I read recently about Nora Harris, the former librarian from Ashland who had filled out an advance directive and told family and friends she didn’t want measures taken to prolong her life after she started showing signs of early-onset Alzheimer’s disease. Even with this directive, she was being spoon-fed at the nursing home where she lived, and a judge ruled against her husband who said that’s not what he or Nora wanted, even though she could no longer communicate. This is very close to home, although in my own case we don’t have a family history of Alzheimer’s. I’ve been concerned at how often physicians and nurses prefer to err on the side of what they consider caution, ignoring a person’s written refusal of medical care and putting that person on life-support in spite of instructions to the contrary. The Physician’s Orders For Life-sustaining Treatment (POLST) and the electronic registry were developed following just such a case, one in which the person’s instructions were not found in time. This happened while I was still on the Advisory Council of the Center for Ethics in Health Care at OHSU. My own mother also was “coded” in defiance of her do-not-resuscitate (DNR) order, put on life support which then was discontinued at our request as soon as we arrived. Along with the POLST, perhaps a person could video instructions and place the video with the documents. It might be harder for a judge to justify countermanding instructions if the person was looking him in the eye, albeit on film. The distinction between “medical care” and “basic care” is specious, but it has been used here. The state is essentially forcing feeding, offering food so of course the mindless person opens her mouth. Those who rule that an Alzheimer’s patient must be spoon fed contrary to that person’s stated wishes are committing a form of abuse, the more reprehensible in that the person can no longer speak for herself. Most facilities would continue to charge the family between $4,500 and $5,500 a month. If a family member chose to take the person home or to a Hospice, once the state has gotten involved, there could be endless wrangling. It is inexcusable! Next > Off to Chicago! Joan, I couldn’t agree with you more. I had the privilege of being present at the planned death of a friend and neighbor last January 11. She was 94, had an inoperable tumor at the top of her spine, and knew eventually she would face paralysis. Her dying was calm, and surrounded by her loving family, laughing, crying, telling stories. Saturday, September 9, her daughters held a celebration of her life at the Unitarian-Universalist Church in Middlebury, and I had the honor of playing Bach, Gluck, Dvorak, Ibert, and Mozart with the organist at my former church as preludes, postlude, and a musical interlude. I knew Katie loved hearing the music from wherever she might be. A group of about sixty came together to remember her fondly and tell stories. Yay for Vermont for passing their version of Death with Dignity a few years ago!